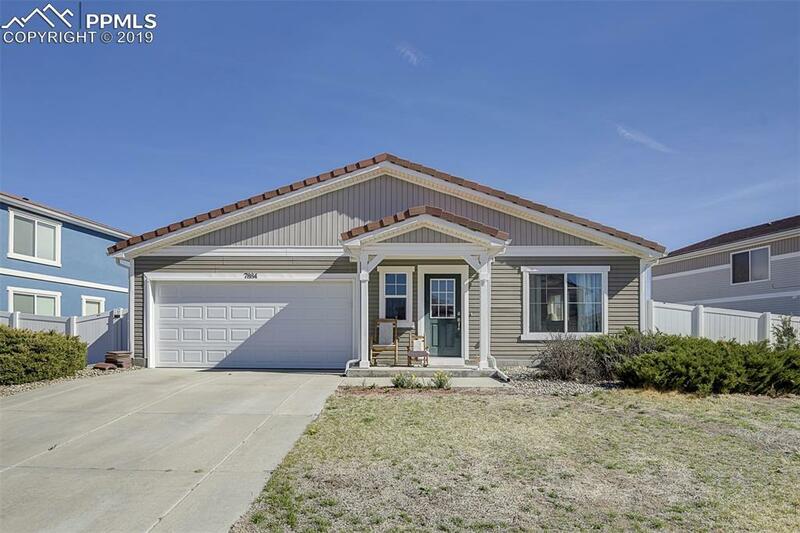 This wonderful ranch-style home in Fountain is close to Ft Carson, schools, parks and shopping. As you step inside the home, you will find a spacious Living room that is open to the Dining area. The Dining area has a walk-out. The Kitchen and the Family room are open to each other as well! The Kitchen is HUGE! 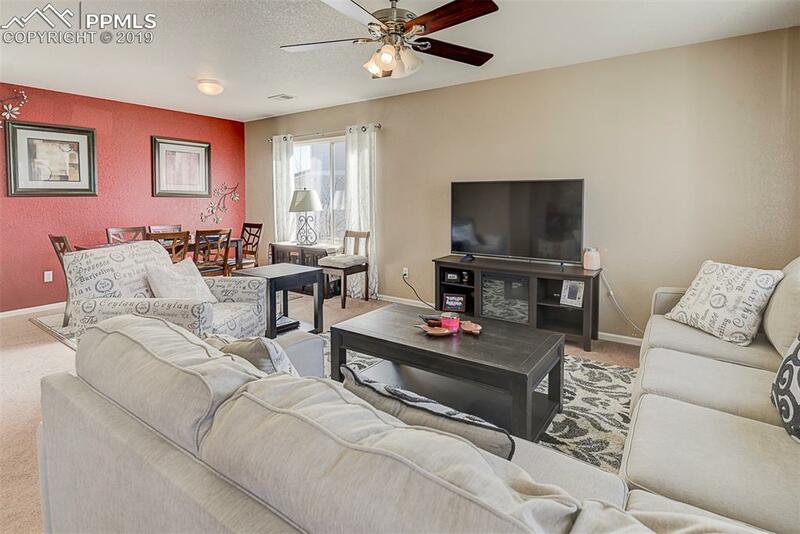 You will find black appliances, a window over the stove, crown molding on the upper cabinets, TONS of counter space and cabinets, recessed lighting and so much more! 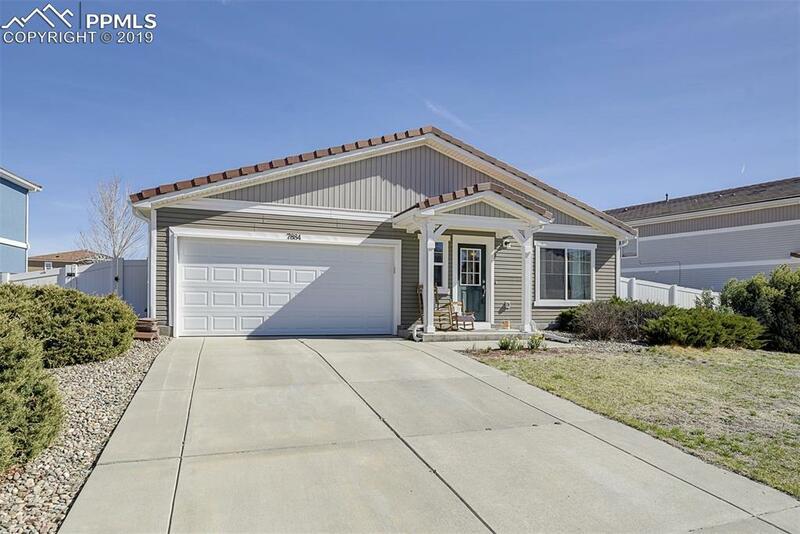 The family room is spacious and has a walk-out as well! The Master suite is located on the main level. It adjoins to a full bathroom with a twist. There is a dual sink vanity, free-standing shower and a tub/shower combo in the Master bathroom; a walk-in closet is part of the Master Suite as well. There are two other bedrooms and a full bathroom on the main level. 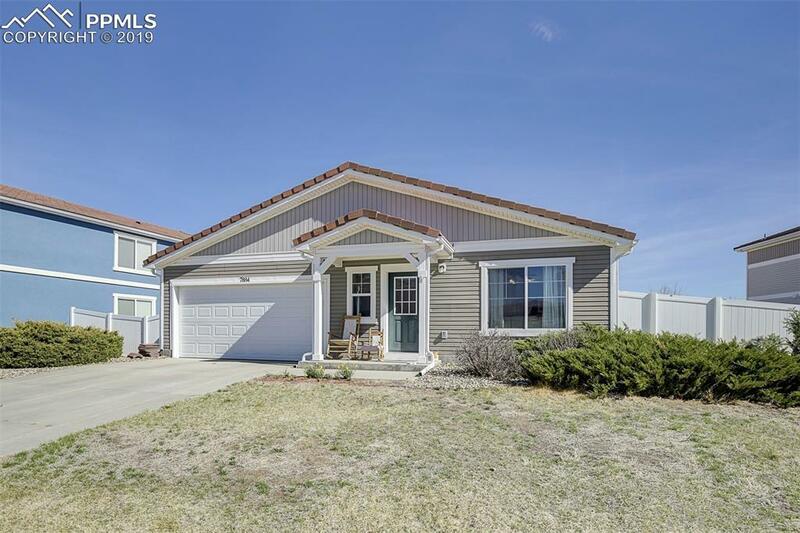 Step out to the backyard and see amazing views of Pikes Peak and the Front Range mountain. There is a walking trail right behind the home; imagine taking a twilight stroll to watch the sun setting behind the mountains.